It’s T-48 hours ’til our country’s annual Thanksgiving chow down and if you’re still on the hunt for side dishes to round out your holiday table, it’s time to calm down and cook on with these simple Thanksgiving side dish. 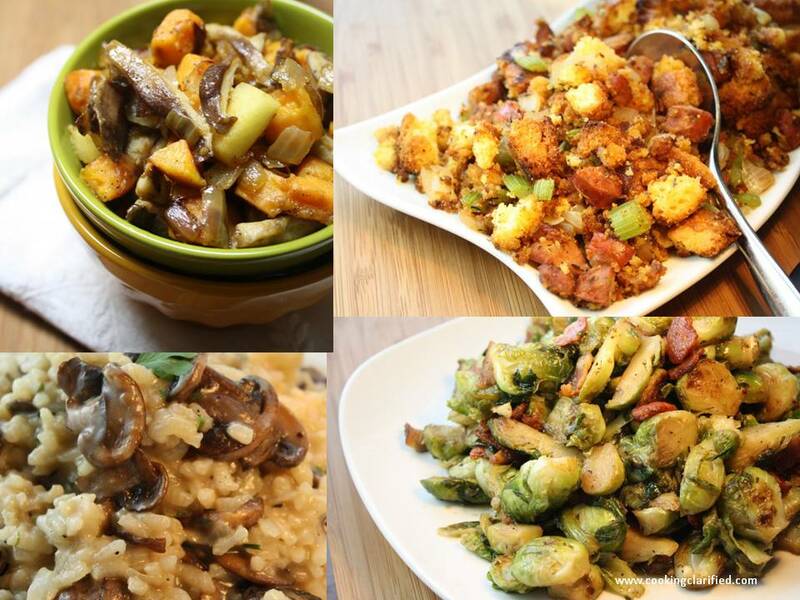 recipes that are chock full of flavor and impressive enough to WOW your Turkey Day guests. Leftovers will likely be a thing of the past when you set these tasty dishes on the buffet. Did I mention how simple they are to prepare? Once your bird’s in the oven you’ll have plenty of time to whip these Thanksgiving sides into shape because they’re all made on the stovetop. That’s right! No oven required so grab your wooden spoons, Dutch ovens and saute pans and let’s get started on your Thanksgiving miracle — a meal that’s easy as pie to prepare that your friends and family will be talking about ALL. YEAR. LONG. And if you can’t resist a tried-and-true Turkey Day favorite, have a go at my Green Bean Casserole with Fried Shallots, made from scratch. You’ll never buy those crispy fried onions again!